Chris Lynn scored a brilliant 82 off just 51 balls for the KKR, but he didn't have much support from the other batsman as they managed to get just 161 in the 20 overs. CSK coming out to chase had a good start with Faf du Plessis looking in good form. Watson once again failed to put up a good score. Suresh Raina got a much-needed score for him as well as for the team. He batted through as other batsmen other batsman played cameos around him. Jadhav and Dhoni gave him good support closing into the total. Jadeja came out in the end and straight away got going as he scored a 17 ball 31 to take CSK home comfortably. Raina played a good anchor innings as he was unbeaten scoring 58 off 42 balls. KKR didn't really look to threaten CSK at any stage except for a brief period during Lynn's innings. They were completely outplayed with bat and bowl. KKR has had bowling issues with their inability to pick up crucial wickets but they batting not coming together in a few matches is hurting them and will have to fix this problem soon. CSK on the other hand, have continued their dominance outside their home as well and look very good at the moment as a team. This page contains news relating to various facts and events. The views are generally about current affiars and general topics in diversified areas such as political, international, national, and regional issues, sports, health, travel, lifestyle, technology and business. People having similar interets on the above topics will find this page useful. 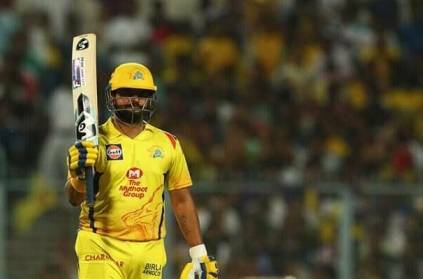 CSK win against KKR in Kolkata | Sports News.